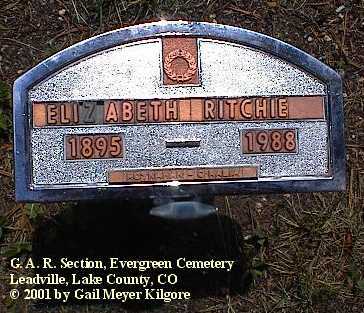 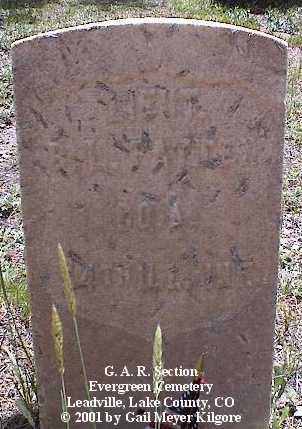 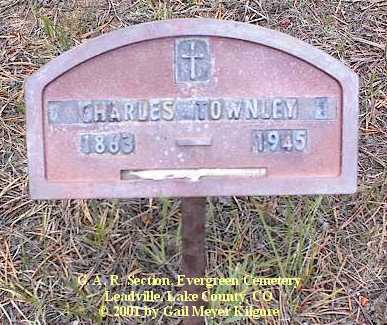 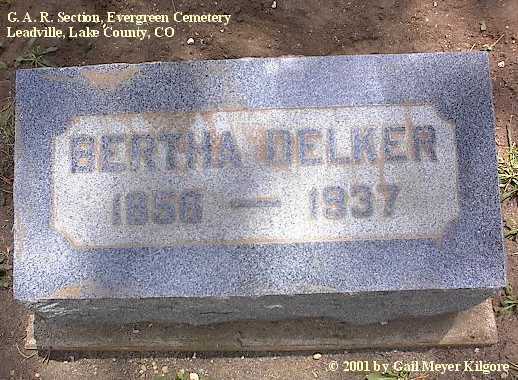 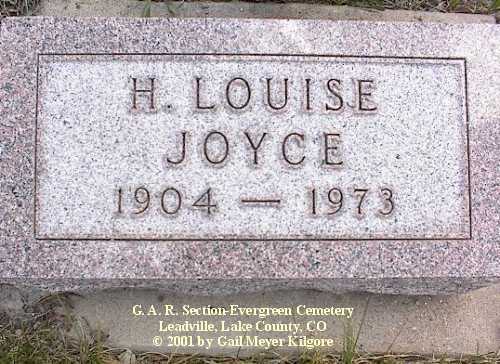 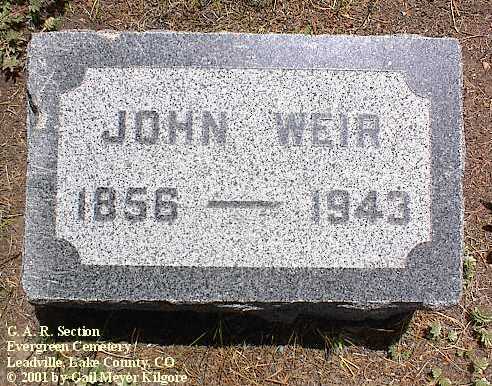 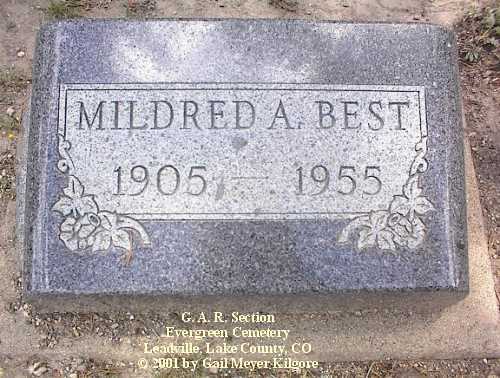 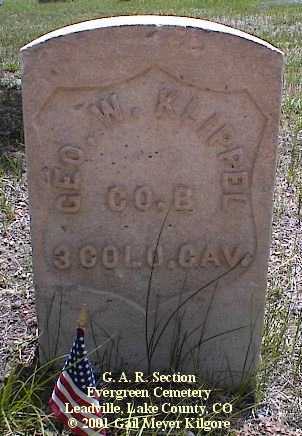 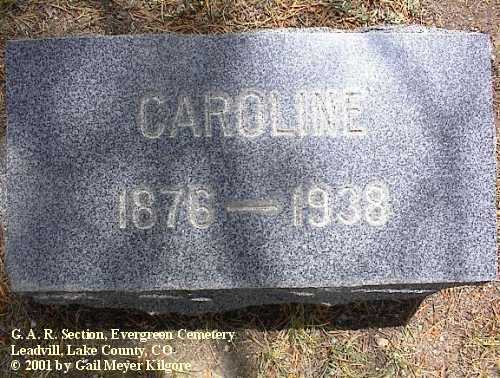 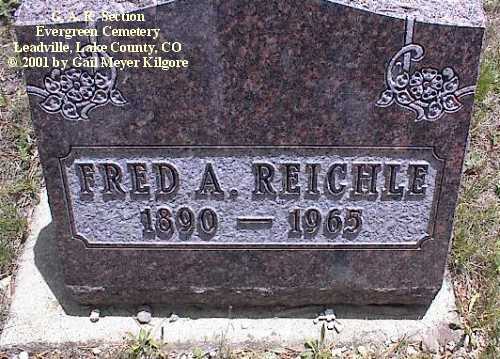 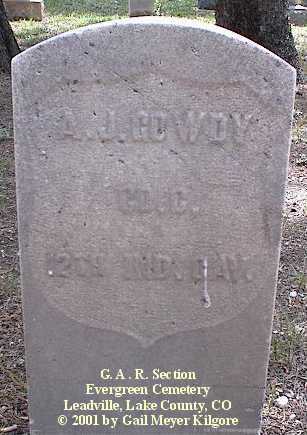 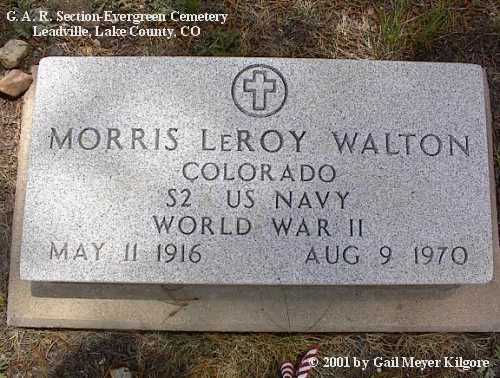 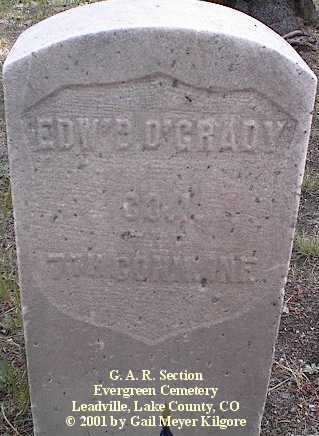 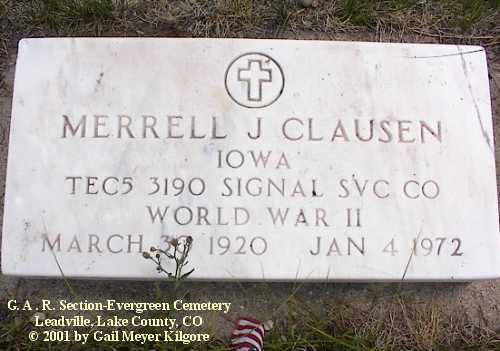 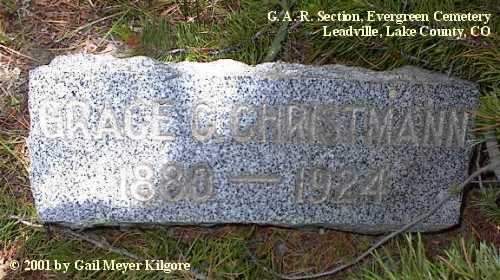 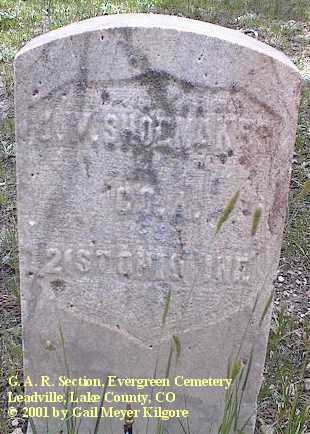 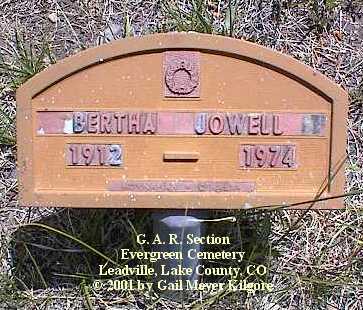 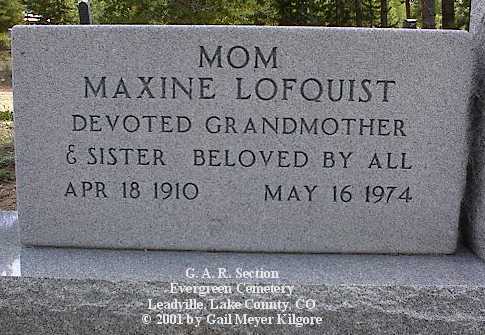 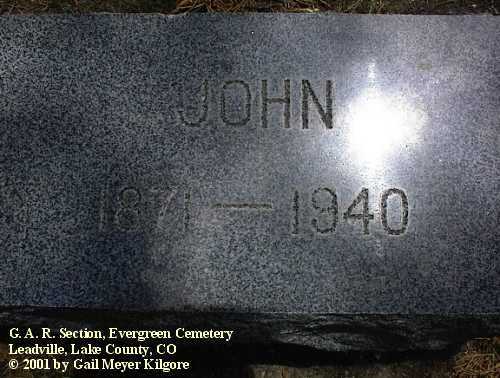 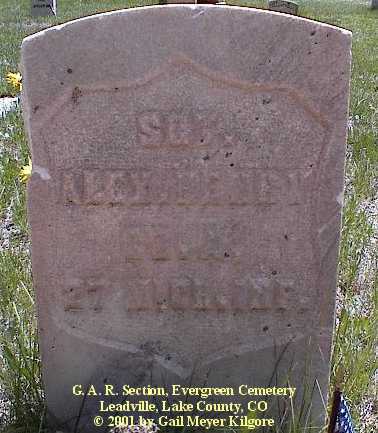 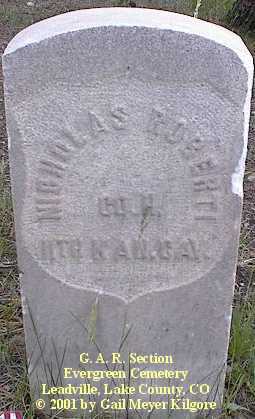 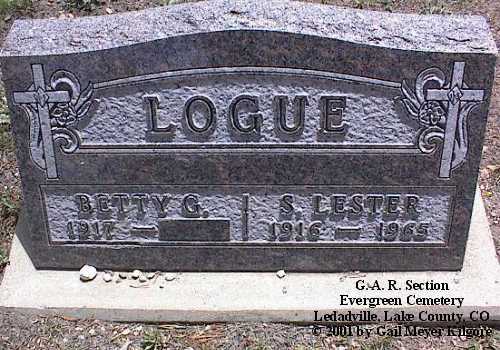 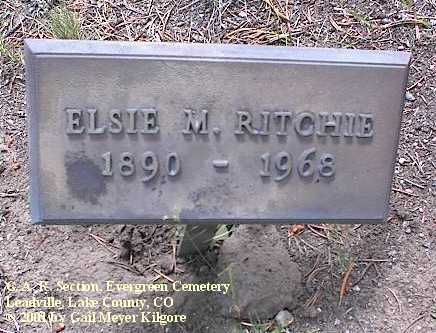 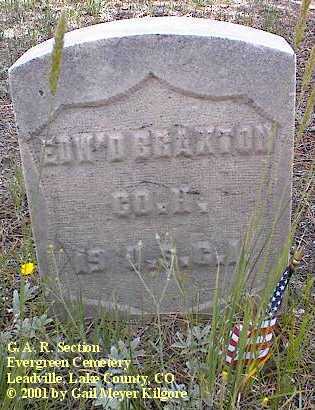 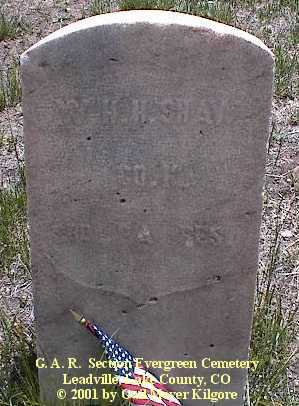 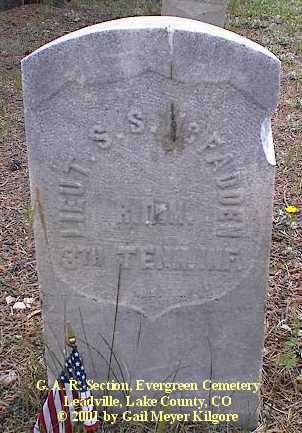 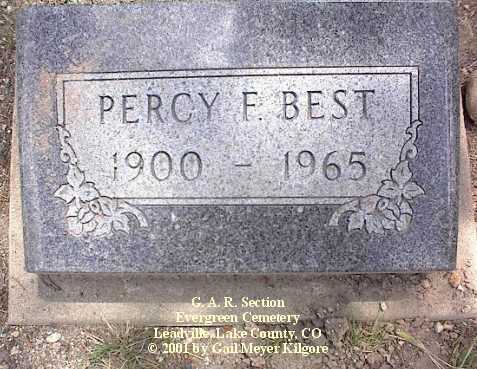 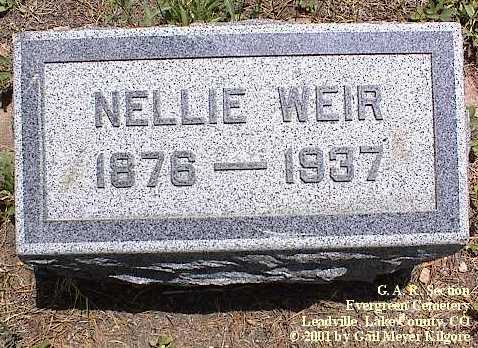 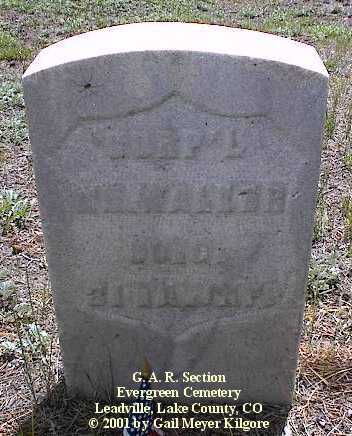 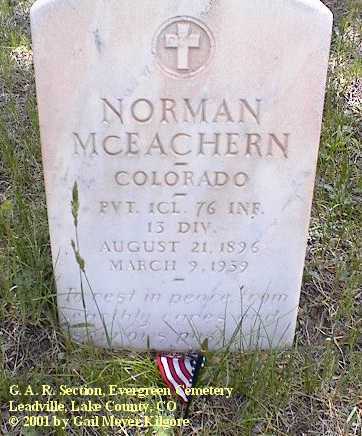 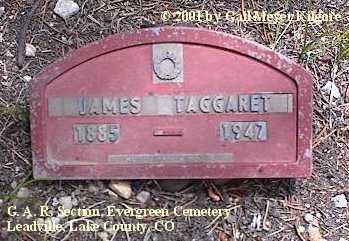 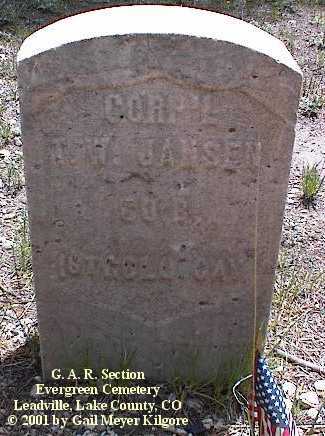 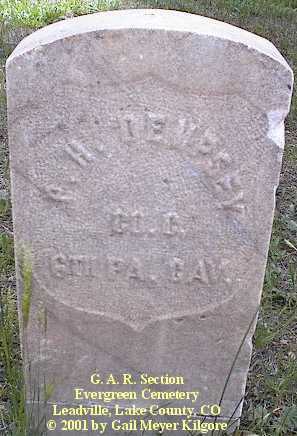 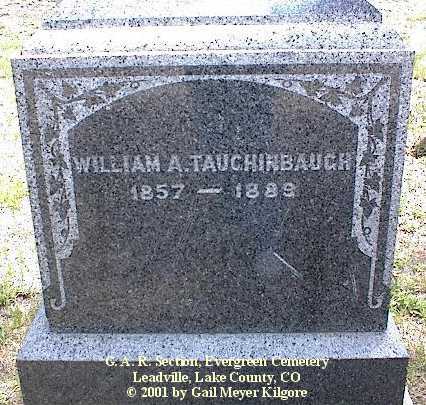 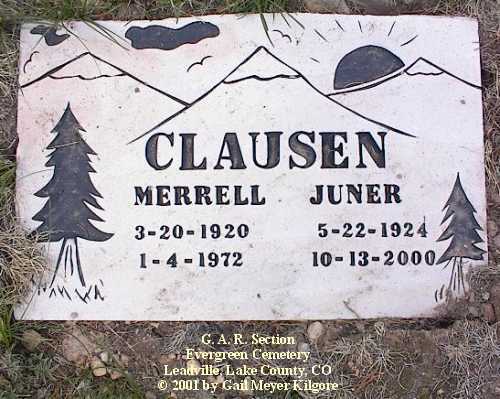 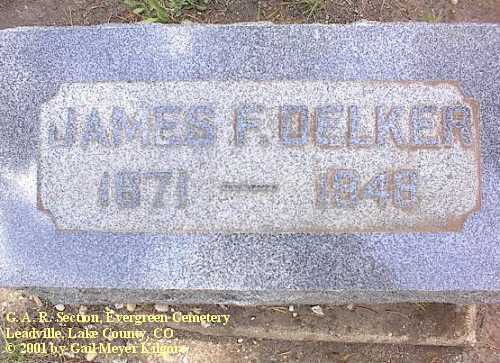 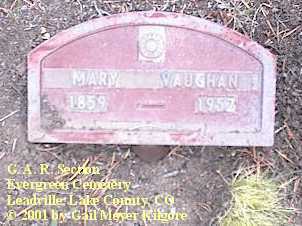 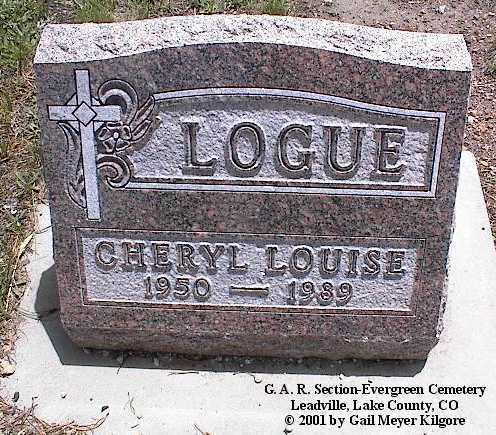 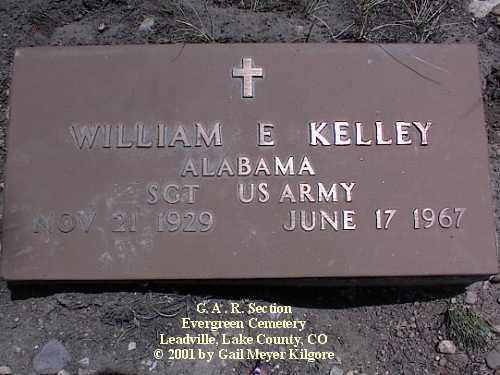 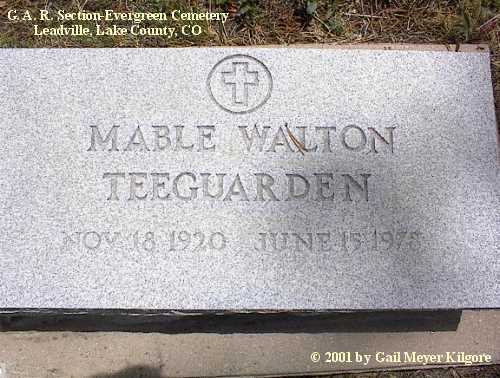 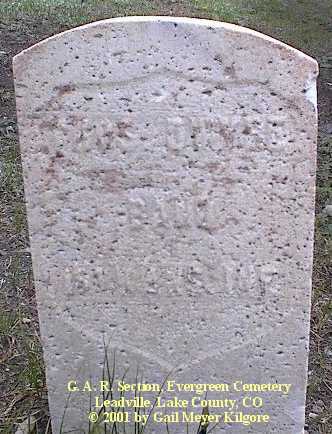 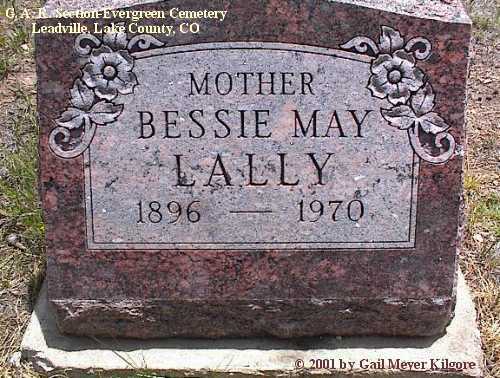 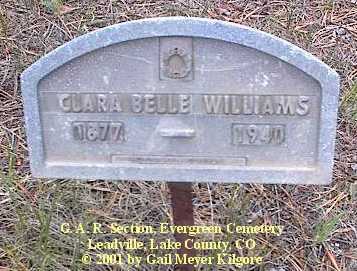 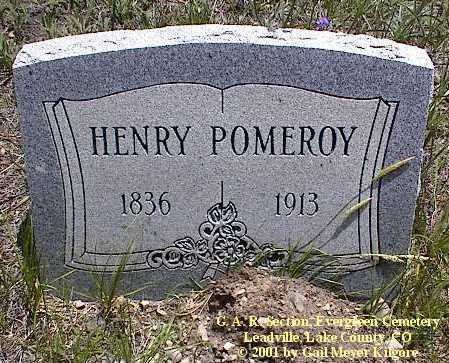 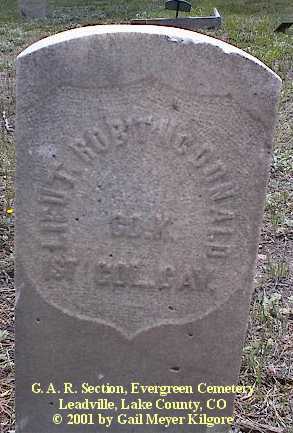 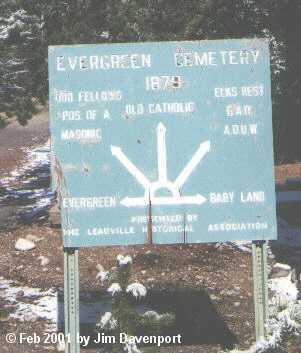 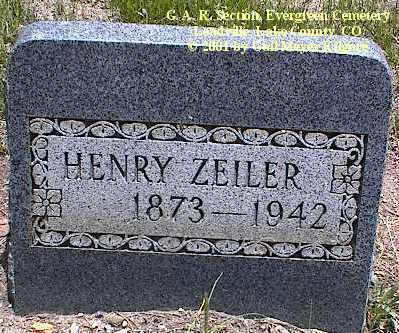 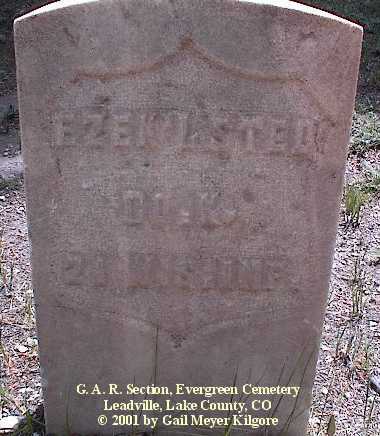 The Evergreen Cemetery is located at the northwestern edge of Leadville, at the intersection of 10th Street & James Street, and is divided into twelve (12) sections: A.O.U.W., B.P.O.E., Catholic, Catholic Free, G.A.R., I.O.O.F., Jewish, K. of P., Masonic, P.O.S.A., Protestant, and Protestant Free. 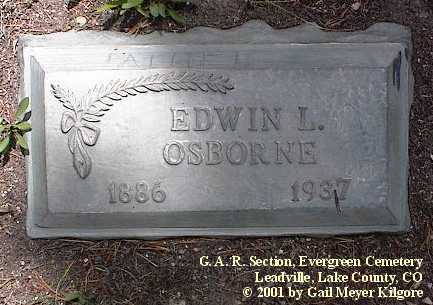 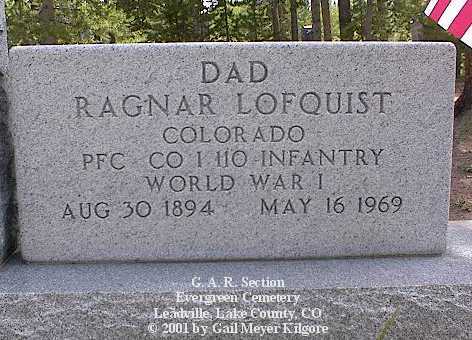 If the photographer didn't know which section the photo was from it may be found in Evergreen Unknown Section. 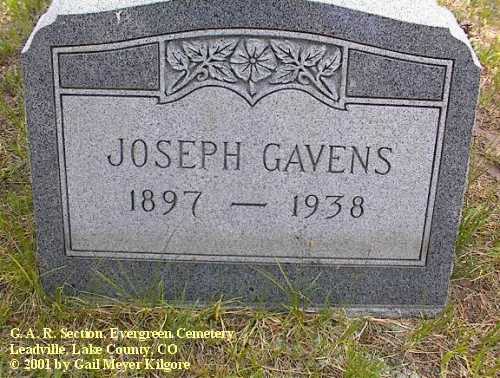 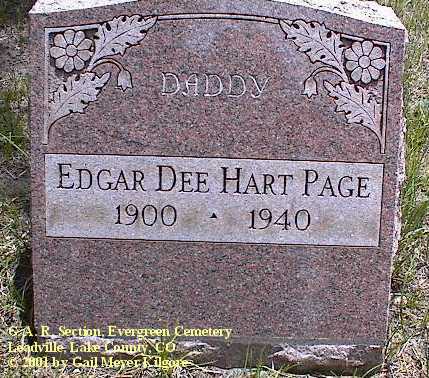 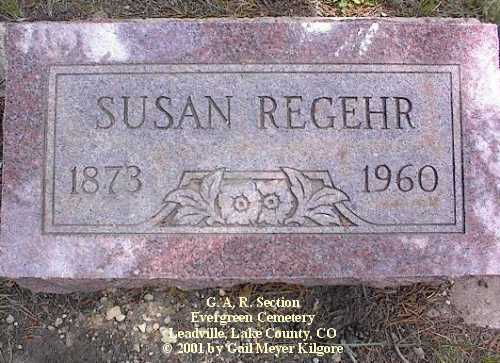 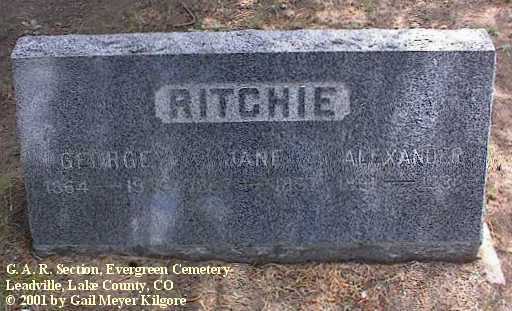 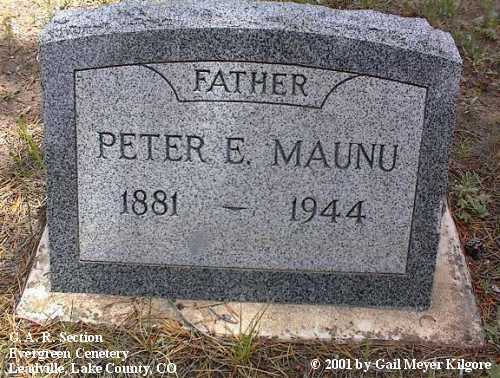 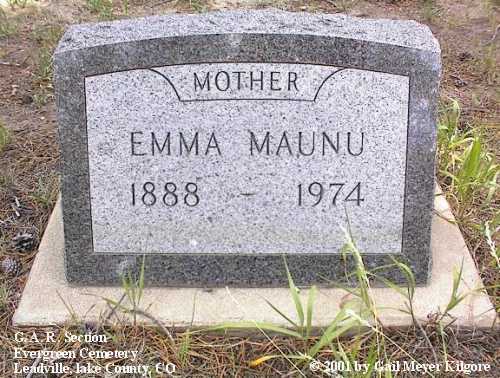 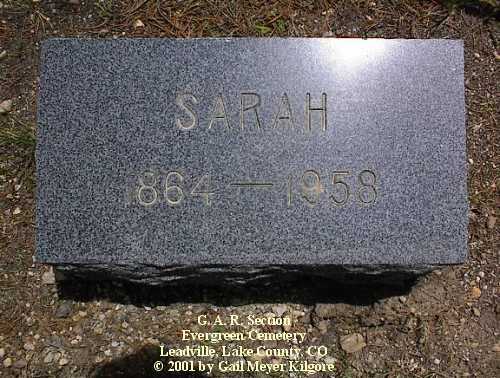 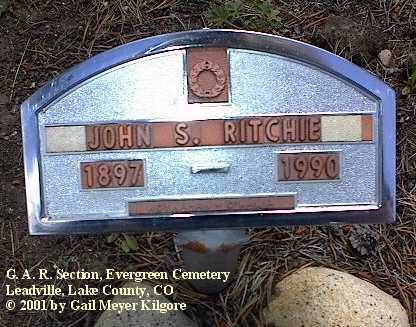 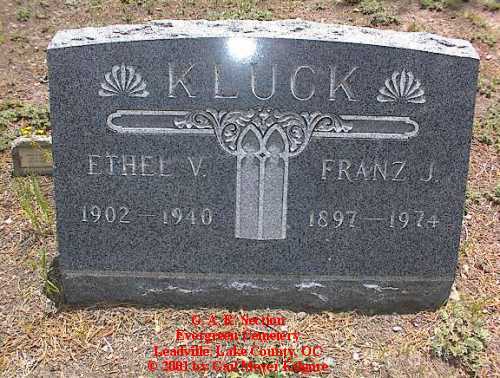 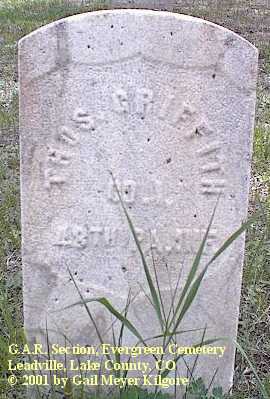 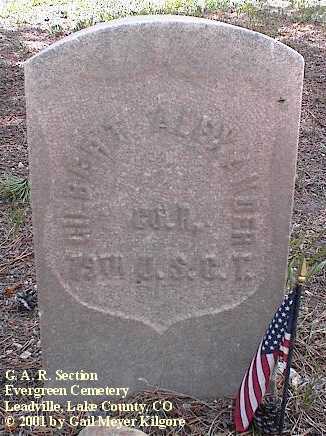 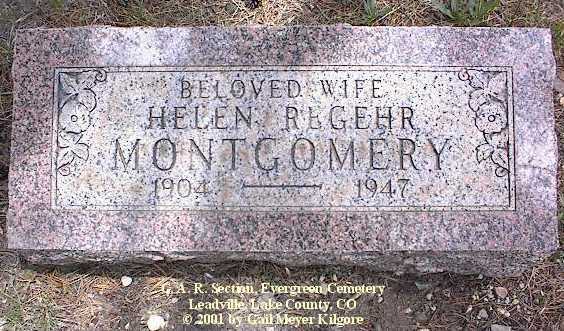 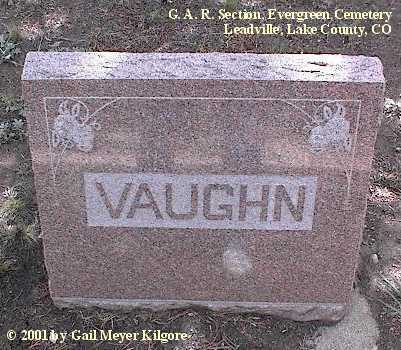 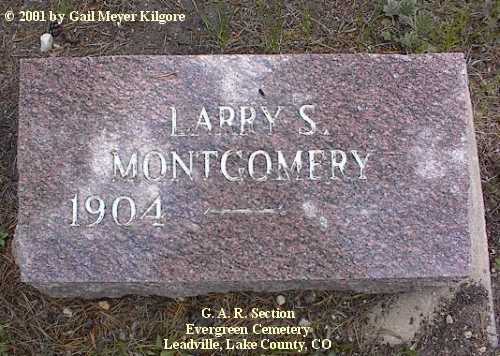 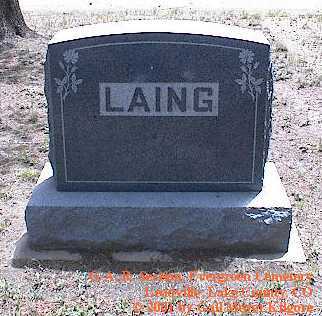 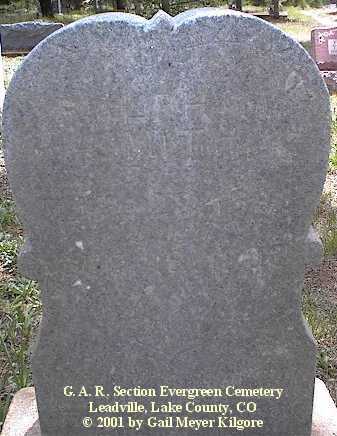 NOTE: Some facts were taken from cemetery records. 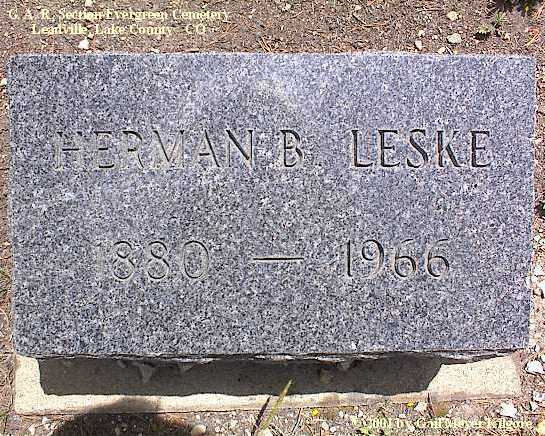 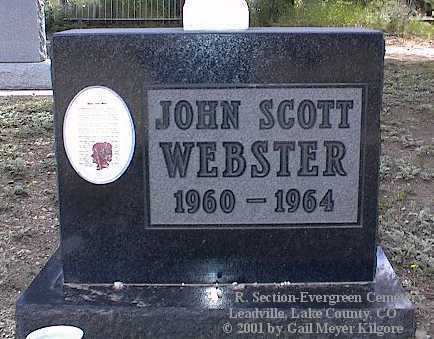 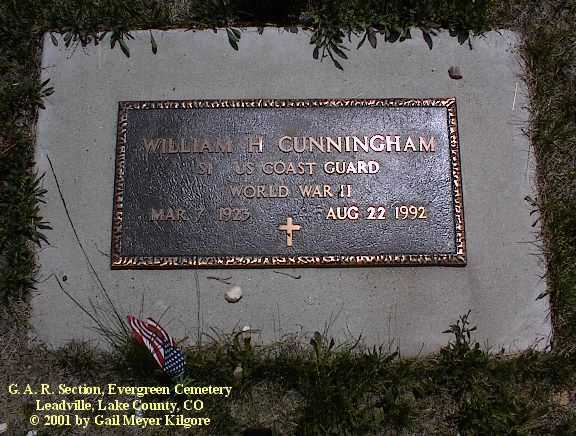 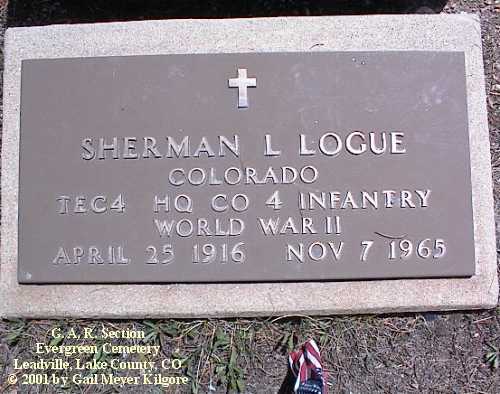 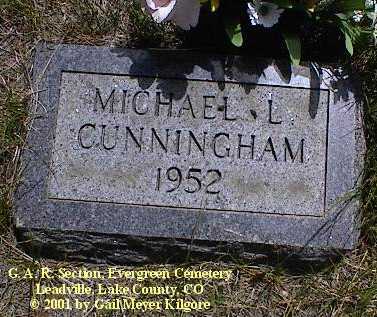 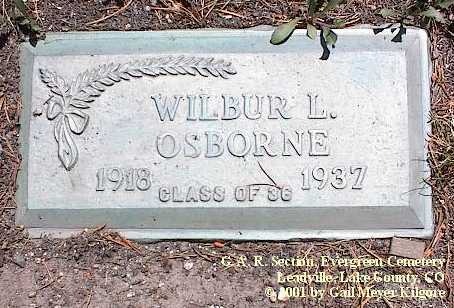 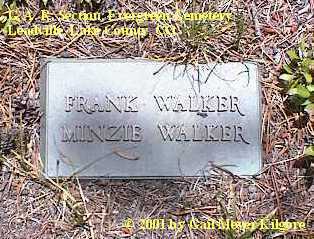 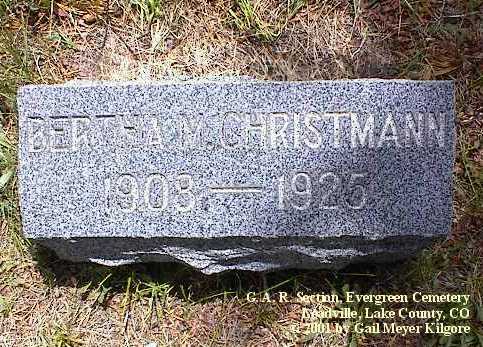 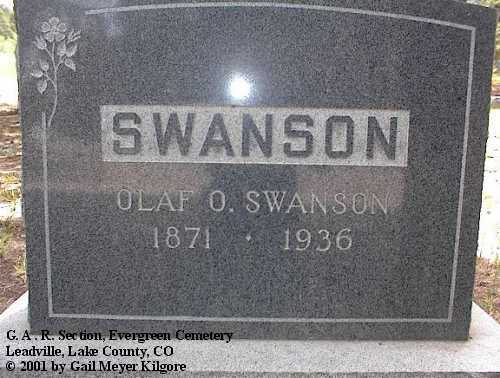 He was moved to this location from the Kokomo Cemetery on Aug 6, 66 as that is about the time that the tailings pond from the Climax Mine started to cover Kokomo and the town was abandoned.